Natural vegetable granules of pure SPIRULINA PLATENSIS for little/medium size fish as daily essential compendium food (specially CICHLIDS and PHYTOPHAGUS MARINE FISH). 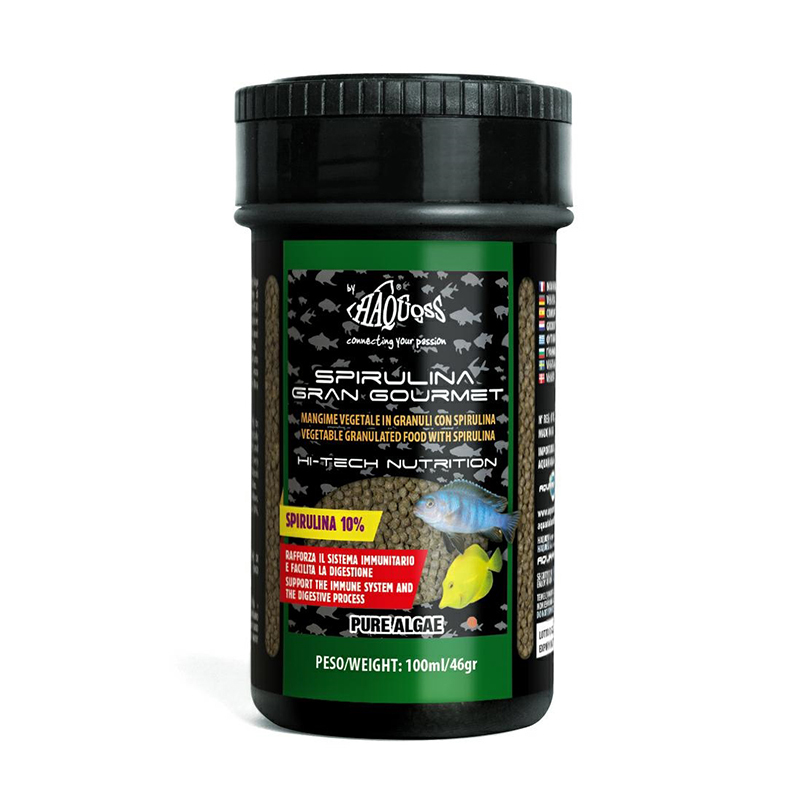 Hi-vegetables protein and hypercaloric ingredients to increases metabolic system that is very difficult in aquarium phytophagous fish. It inhibits rickets, avitaminosis and lack of appetite.